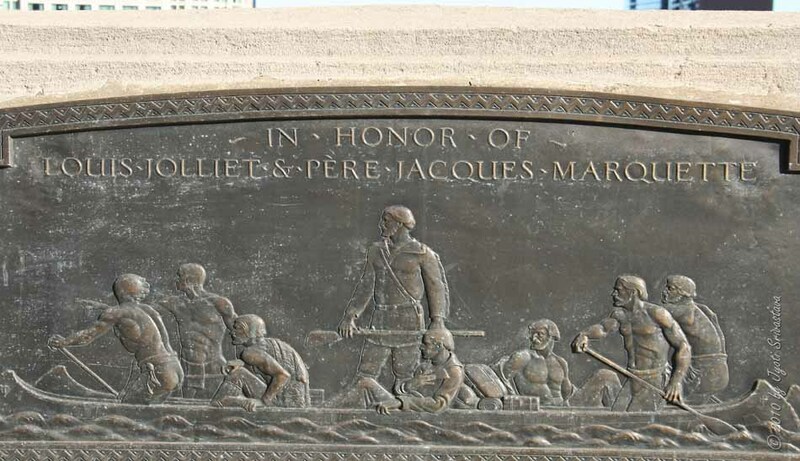 In honor of Louis Jolliet & Pere Jacques Marquette.. The first white men to pass through the Chicago River, September 1673. 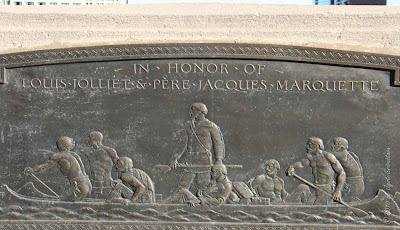 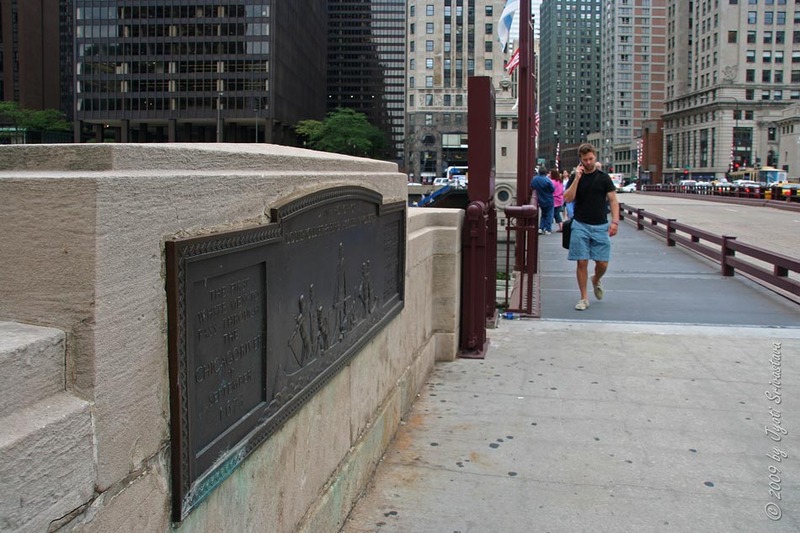 This tablet is placed by the Illinois Society of the Colonial Dames of America ..
# Sculptures and markers on Michigan Avenue bridge..
# Defense, Regeneration, The Pioneers, and The Discoverers..
# Plaque in honor of Louis Jolliet & Pere Jacques Marquette. 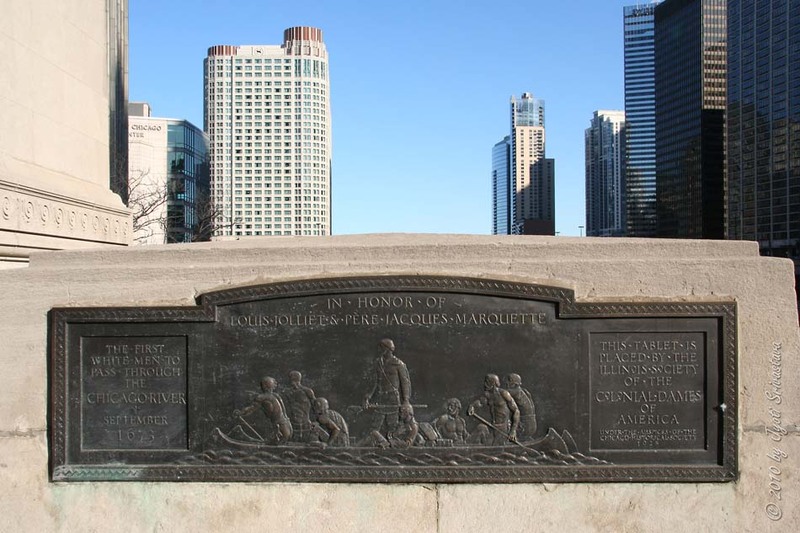 # Plaque in honor of La Salle & Henry De Tonti..
# The importance of Chicago River in early Chicago development..
# Granite squares commemorating Chicago Gateway Green committee efforts..
# Bust of Pointe DuSable.. click here..
Vector and Friends: Art of Fabricating! Ten Oldest Sculptures of Chicago..
Public Art in the Universities of Chicago.. 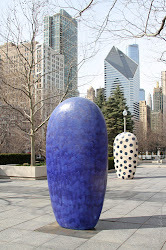 The Art Institute of Chicago..
Public Art on the North Bank of Chicago River..
Michigan Avenue Bridge: sculptures and markers..